I don’t usually do a review of big brewery beers but I decided to make an exception for this one. 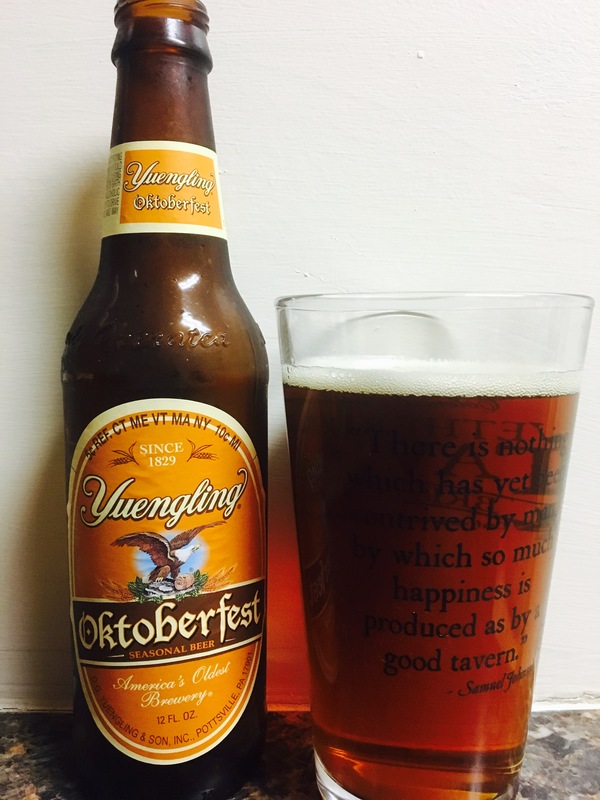 Yuengling brewery “Americas oldest brewery”, has put out its seasonal Oktoberfest. It’s dark rust color and fall scent will grab you. The taste, pure “Fall”, its got a hint of maple..woody(in a good way) and honey. It’s quite good. The Alc content is a little low at less than 5.5% but this beer tastes of the fall season and I could definitely drink one daily. 3.5 stars, well done.